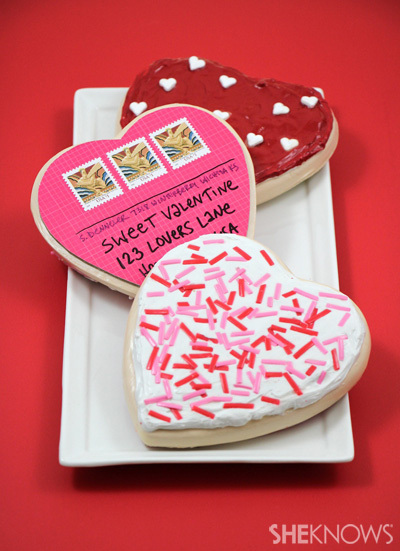 This Valentine’s Day, mail your sweetie an extra-special treat that looks good enough to eat. 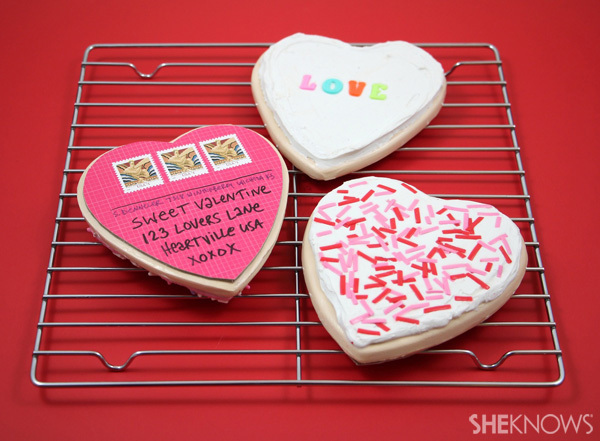 These heart-shaped cookies are sugar-free but made with love. All you need are a few supplies and some patience (they take a few days to dry). Frosted with caulk and decorated with fake candies, they’ll be loved by all who receive them — even if they can’t be eaten. Roll out your Crayola Model Magic to about 1/4-inch thickness. 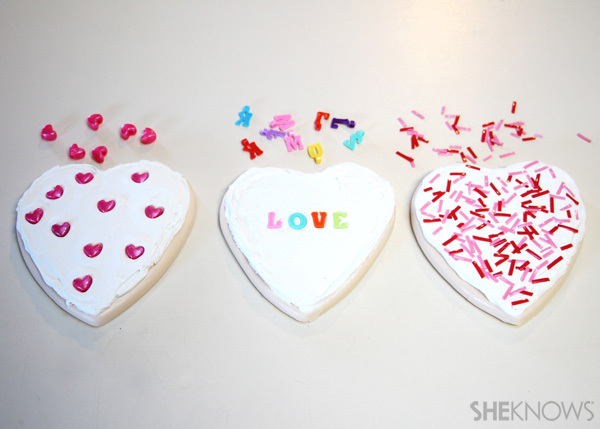 Cut heart shapes with the cookie cutter. You should be able to get two cookies out of one bag of Model Magic. Set your cookies on a piece of parchment paper and allow them to dry for a couple of days. 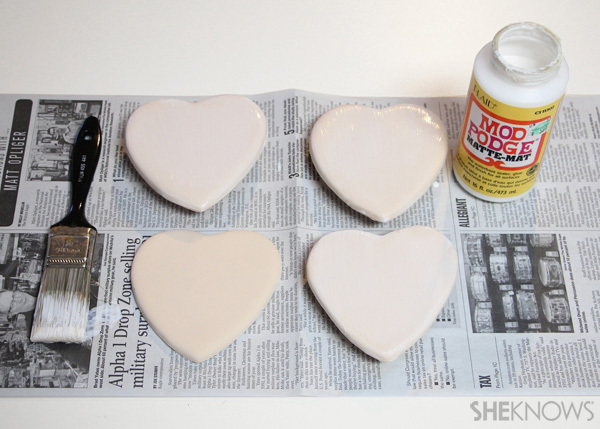 Coat the back sides of the cookies with Mod Podge. Allow them to dry. Flip the cookies over and coat the front sides. Allow them to dry. Prepare your plastic beads, letters or strings for decoration. 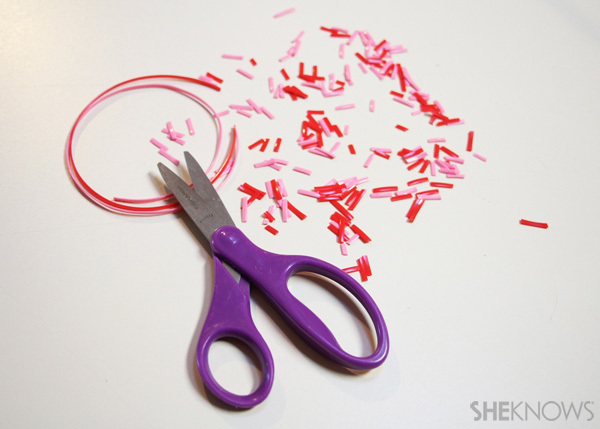 Cut plastic strings into tiny segments to look like candy sprinkles. Using a caulking gun, apply some caulk to the tops of your cookies. 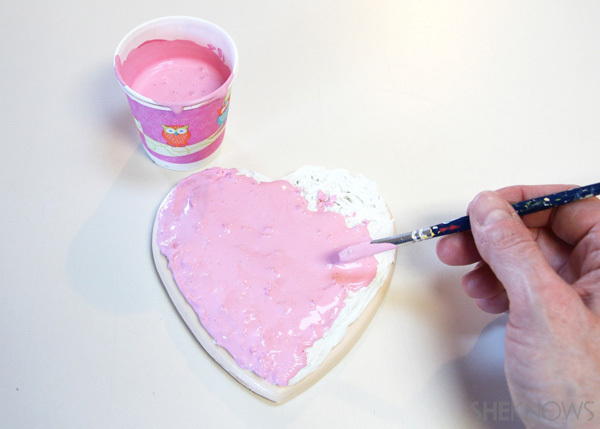 Take a plastic knife and spread the caulking around, just like you’re frosting a cookie. Add your plastic decorations, pushing them into the caulk to secure them in place. Allow them to dry for a couple of days. If desired, you can also paint the caulk frosting after it’s dry. 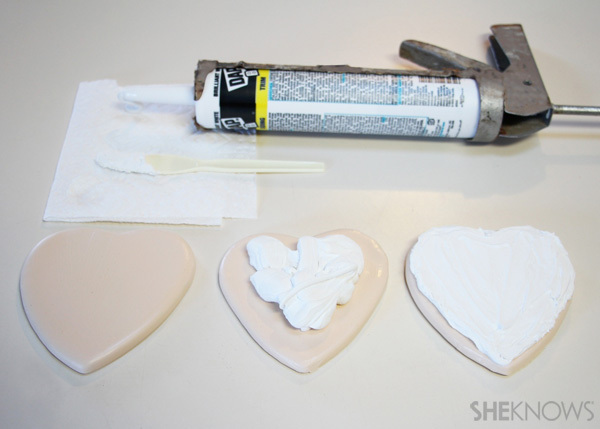 To add plastic decorations, place them into the wet paint, and they will secure in place as the paint dries. 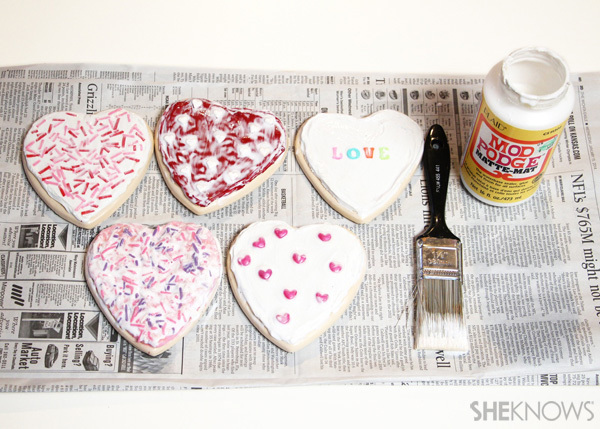 Once your caulk frosting has dried completely (and any paint), coat the tops of the cookies with a layer of Mod Podge. 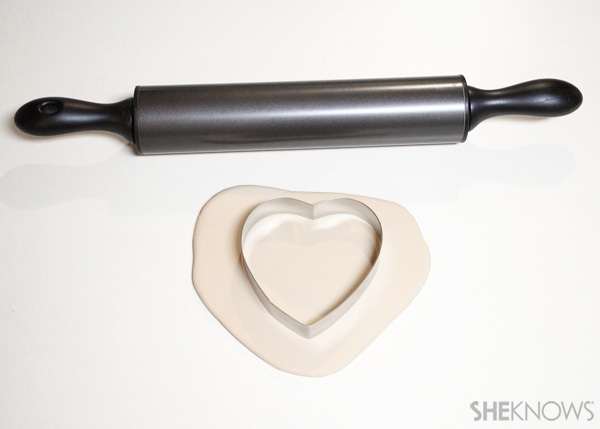 Allow the cookies to dry completely. 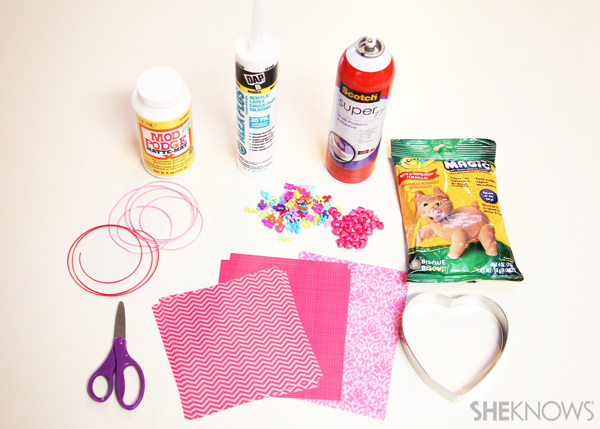 Spray glue your decorative papers to thin cardboard. On the back of the cardboard, trace around the cookies. 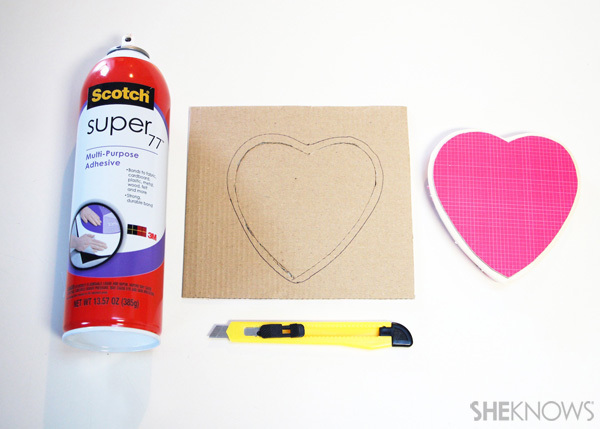 Using a pair of scissors or an X-Acto knife, cut slightly inside the heart tracing. 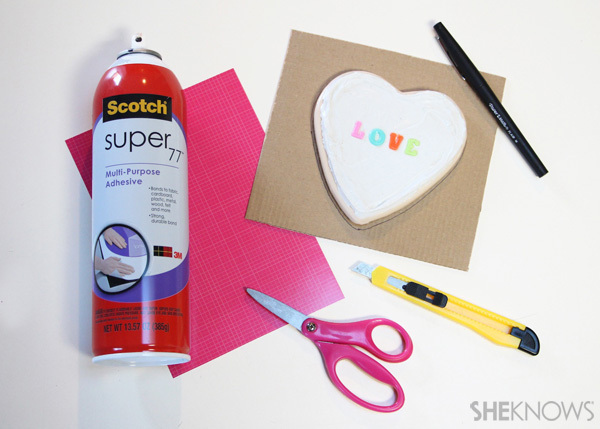 Spray glue the cardboard side of the cutout hearts and attach to the bottom of each cookie with the decorative paper facing out. My cookies were slightly different weights (depending on how much caulk, paint or decoration was on them) and mailed for between $2.50-$3 each. I used three $1.00 stamps on mine.